I would look down in dread as the steps in front of me seemed to disappear one by one. As each subsequent step was sucked up by the ‘mouth of doom’, I feared the same might happen to me if I didn’t step off in time. What if I didn’t take a big enough step or worse, step off fast enough? Often times we have the same feeling when unfamiliar task is before us. When we feel the need to perform at a certain level, afraid of what happens if we don’t measure up, we experience the fear of failure. A fear of failure is severe apprehension that one will not attain the level of what she or others define as success. Where does fear of failure stem from? The fear of failure stems from how we set the bar on success. If we have attained our own definition of success, then we might be content for a time. However, a problem occurs when, not if, we don’t measure up to our own standard or the standards of others. If we define success as anything other than following God’s will, we fall victim to the fear of failure or success. For example, as I drove home today I caught myself thinking…”What happens if I do a blogging course and it doesn’t yield any better results?” When we allow ourselves to believe that we have any control over results, we will more than likely experience fear. Instead, our job is to obedient to what God has told us to do and trust HIm with the results. People Pleasing – When we measure our success by others’ standards, we will experience the fear of failure because we will inevitably let someone down at some point. Often the result is depression and fear. Perfectionism – This happens when we define our success by our own standards and those standards are way too high. This will inevitably lead to fear, anxiety and possibly procrastination. Procrastination – Procrastination often occurs when we fear living up to our own standards of success. The stress leads us to put off tasks in an effort to avoid feelings of stress and anxiety. Here we are referred to as God’s workmanship. The Greek word poieme for “workmanship” means a work of art or masterpiece, with God being the master craftsman. “Created” is translated in the Greek as ktizo which describes the activity of God alone – something only He can produce. 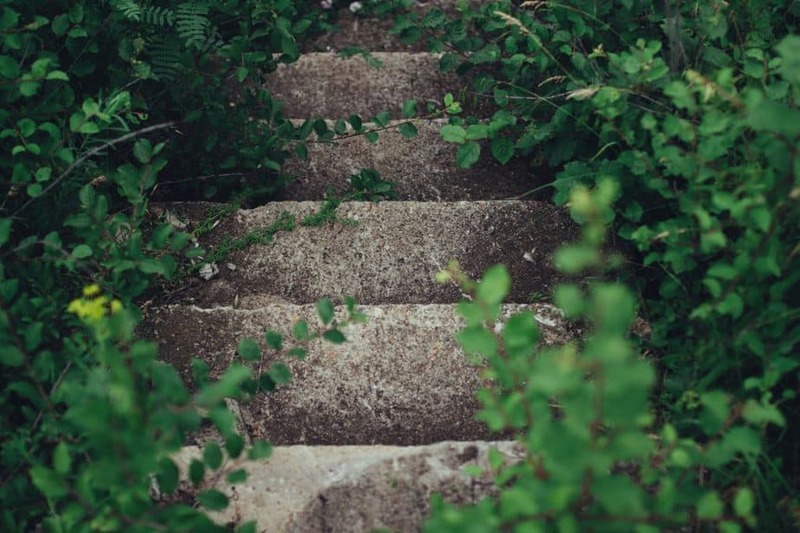 God has already established our steps as our Creator and our job is simply to walk in the step ahead of us, as if walking down a garden path of stepping stones. The next step has already laid out before us. When we try to define our own next step off the path of His Will, that’s where we get into trouble. Also, our responsibility is not results. Our role is simply to be obedient to the nest step and leave the results to Him. The problem is not the fear of failure but of how you are defining success. The only real failure is disobedience. Sometimes our steps aren’t always graceful but obedience always equals success. Abraham was comfortable in Haran. By that point, he had an established way of life, financial stability and his family was there. I know multiple questions would have swirled through my mind: “Where is this place you want me to go?, How will I know its “the” place?, Will it take a long time?, Will others be cooperative on the way there?” I can’t imagine Abraham’s friends would have thought his new monotheistic calling would have brought him much “success”. God didn’t tell Abraham what land or its location, but God tells Abraham to “go” and he follows with an implicit faith. Was Abraham scared to leave his home country? Absolutely! Fear is a human emotion. When we take that first step off the escalator as a kid, it’s scary. But after you’ve done it a few times, you realize that the step on the solid floor was even more stable than the one before. The more we step into God’s will, the more our faith grows to know God’s plans can be trusted. Only God defines success. We experience true success when we walk in obedience to Him. When the step before us is intimidating, we MUST choose to “do it scared”. 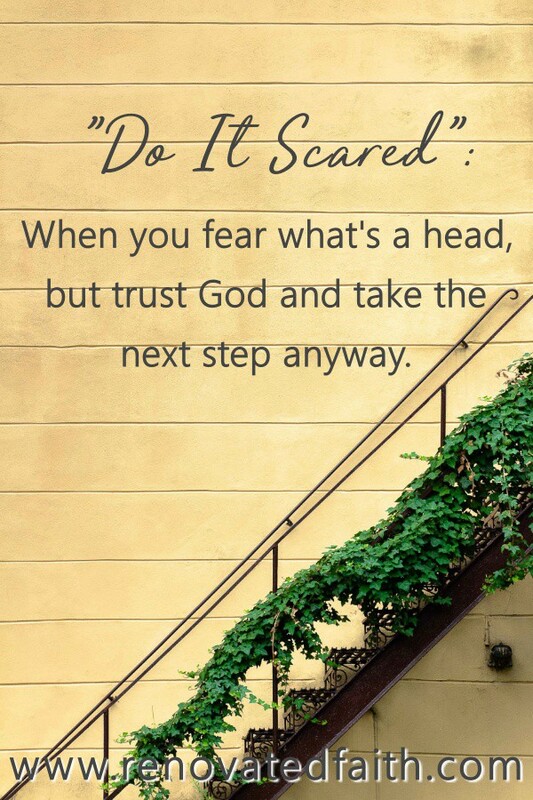 “Do it scared” – When you fear what’s ahead but trust God and take the next step anyway! Courage doesn’t mean we are never afraid. Courage means although we are scared, we take action anyway. Whether you fear failing at a new job or fear failure in an exam, often the best way to eradicate fear is to do the very thing you’re afraid of. Yes, the Bible over and over again tells us “Do not fear”. But at the same time we have to remember that the only answer to fear is walking in courage toward the very thing we are afraid of. Although Abraham was scared, he took the next step in faith. That step started a chain of reactions. Abraham became known as the Father of Israel and more specifically the Father of the Faithful – God’s People. God promised Abraham that if he stepped out of Haran, his obedience would bring great blessings. Abraham’s departure was an unparalleled act of faith. What others perceived as a poor business decision and life choice was actually God’s plans falling into place. Staying in Haran would have meant following in his earthly father’s footsteps and dying in Haran without accomplishing anything that truly counted. However, his Heavenly Father’s plan was full of promise and blessings. If we follow God, He will not fail to deliver on His promises. Yes, God often asks us to sacrifice but He promises to always replace our sacrifice with something much better. (Click here to read my post about how to rest in God’s plans). 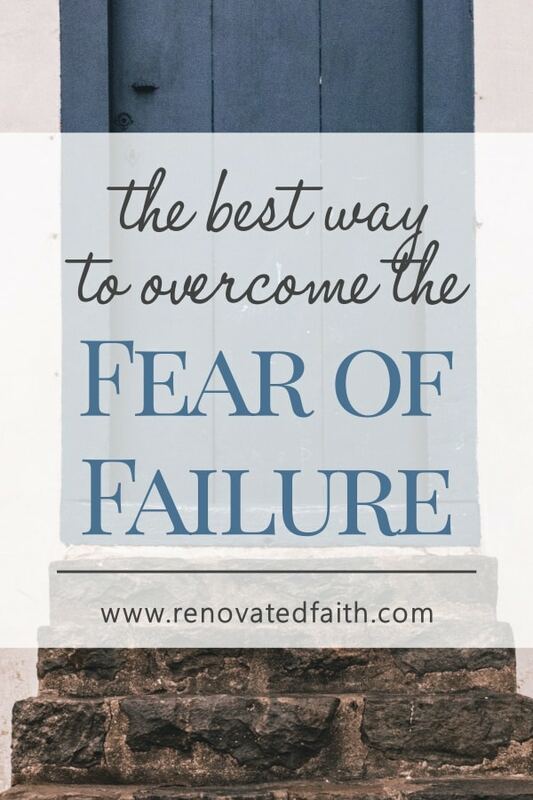 Most often, our fear of failure is the greatest obstacle in trusting God. 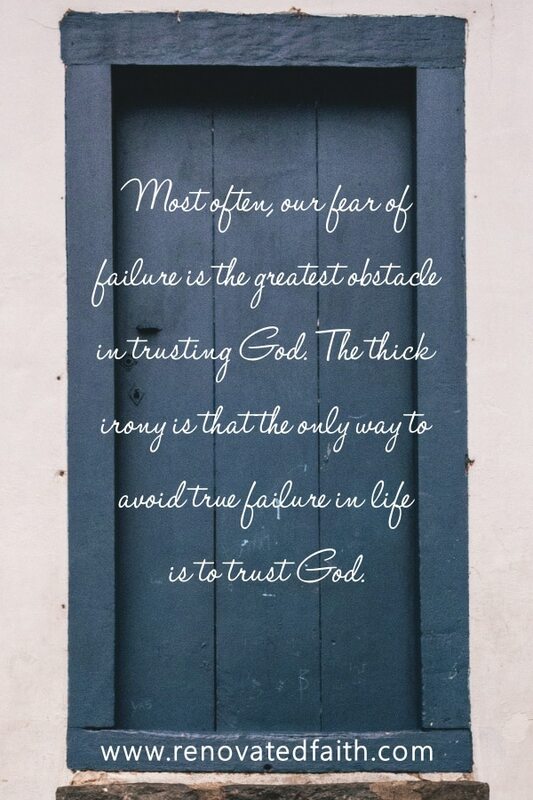 The thick irony is that the only way to avoid true failure in life is to trust God. Often times the calling God puts on our hearts is so huge that we are in disbelief. That’s about the time God’s breadcrumbs show up. God’s breadcrumbs are those little hints and nudges of encouragement left by the Holy Spirit that make one realize “Maybe this really is God’s calling for me.” We have to dare to believe that God is capable of MORE and we can be part of those big plans by saying yes to what He has next. What are your fears telling you about what God has in store for you? Instead of looking at your fears as an obstacle, look at them as a clue to your next best thing. 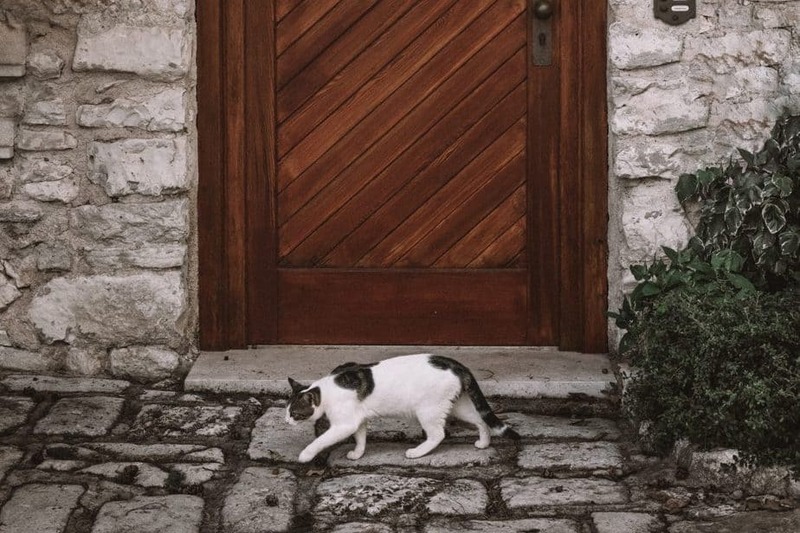 Because sometimes behind our greatest fear is a door leading to the next step in our journey. Inspite of our fears, we need to reach out and open that door to the blessings God has when we trust in Him. Our next step off the escalator might not be graceful or pretty, but it counts! You don’t have to be perfect or even have your lipstick on, you just have to be faithful to what God calls up to do next. There is one step ahead of you, my friend. Is the fear of failure holding you back? Don’t get so with your fear that it paralyzes you. Do it scared. Take that next step! The courage happens when the doing begins. Continue to do the hard things, even when they make your stomach ache or your heart flutter. Take your next step off the escalator. Put one foot in front of the other even when you aren’t sure where the path will lead. 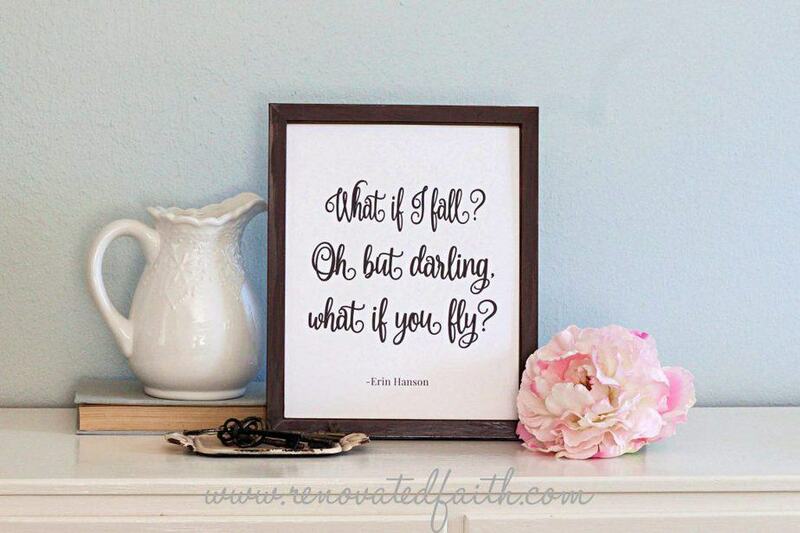 Is there an area of your life where you fear failure? Is this possibly a call God has put on your heart? What is your first step of faith in answering this call? 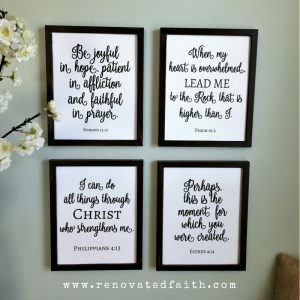 To help you understand that God is ready to catch you when you feel you might fail, I’ve created this free Scripture printable. To download your free printable, subscribe to the weekly newsletter here. 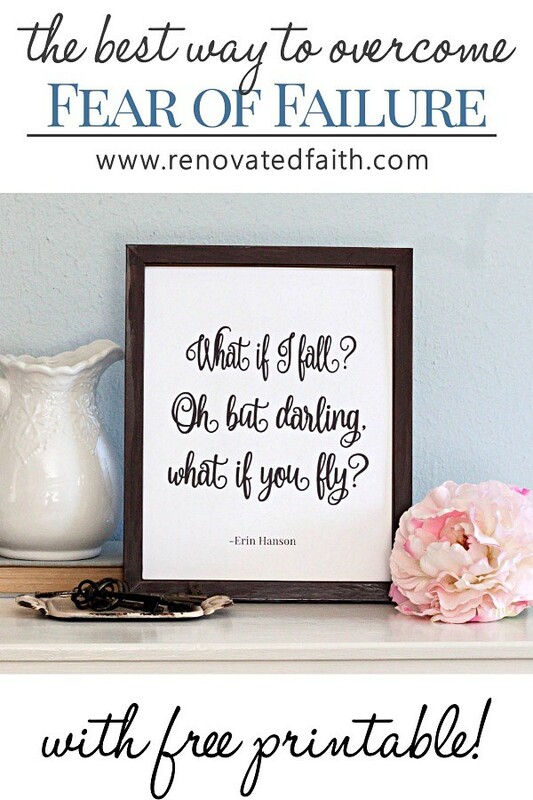 You will be sent an email with a link and password for access to all of my free printables. If you are already subscribed to Renovated Faith’s weekly newsletter, go here and use the password at the very bottom of your last email. Feel free to email me at [email protected] if you need help! If you find yourself struggling with anxiety or fear on a regular basis, please check out my post on How to Overcome Anxiety here. 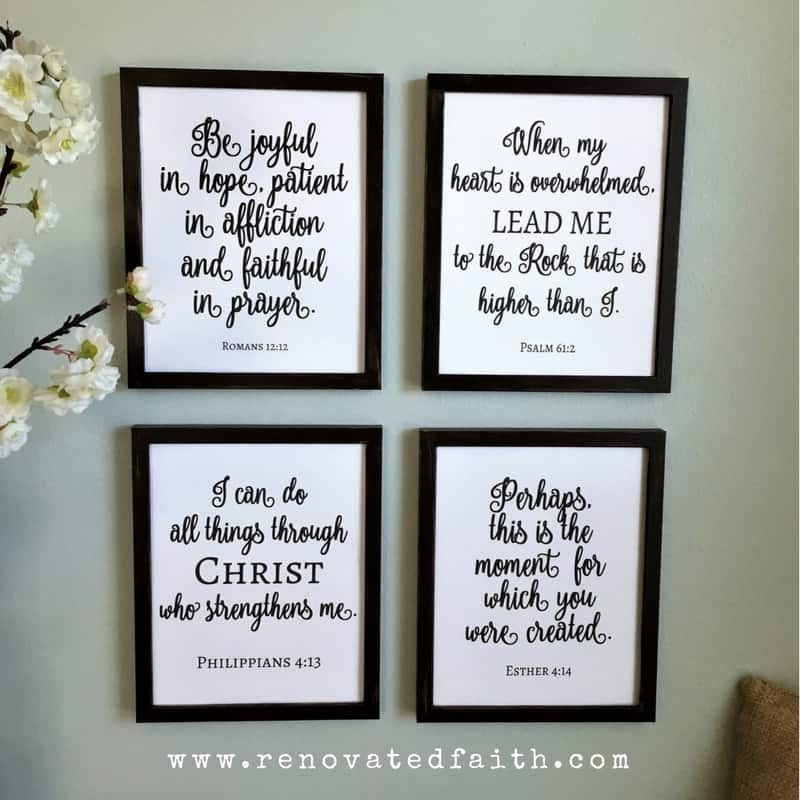 To print your own Scripture printables and to see how to make them look like painted wood signs, you can choose over two dozen to download here. I know why God keeps saying “just write”. It’s because He has gifted you in that area and He is going to use it for His glory! As demonstrated in this blog! I can’t wait to see you FLY!!! !